Having in mind the fact that Adidas still refuses to withdraw its ‘USSR’ clothing line and publicly apologize for it, UCMC publishes its twelfth visual reminder to the company. The term Executed Renaissance denotes the generations of Ukrainian writers and artists of 1920s-1930s who were executed or repressed by the Soviet regime mostly between 1934-1940. 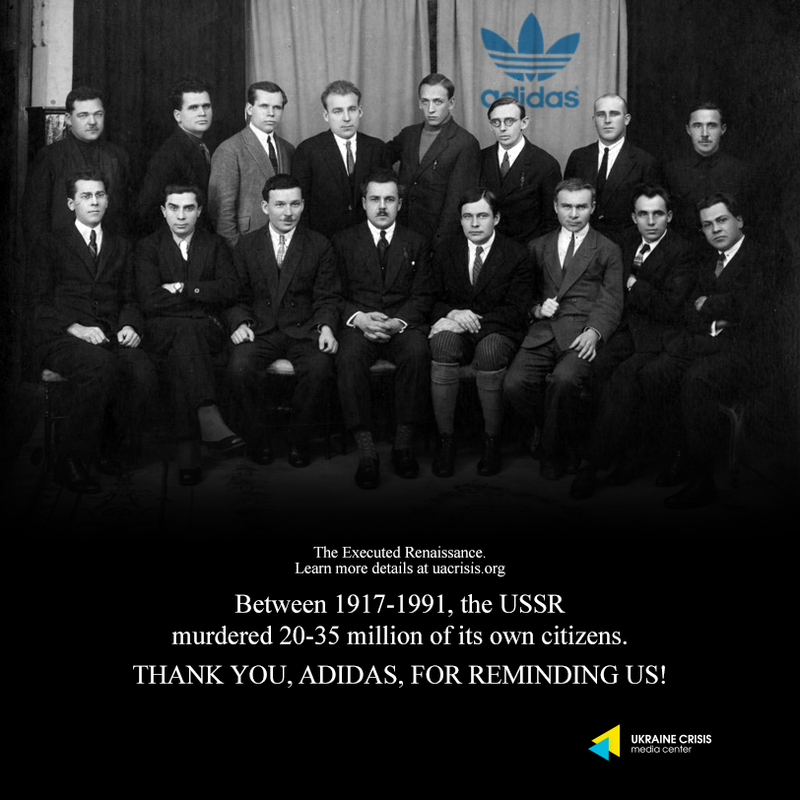 We already touched upon the representatives of the Executed Renaissance in our eights visual reminder for Adidas (The Case of the Union for the Liberation of Ukraine). More than 220 writers were subjected to harassment, arrest, imprisonment, and execution, almost three hundred representatives of the Ukrainian renaissance of the 1920s were executed at the infamous Sandarmokh massive killing field in Karelia. This was one of the heaviest blows to the very heart of Ukrainian nation, its culture.